However, Event Organiser Pro not only brings you an additional ‘Event Search’ shortcode, but also adds a TinyMCE button for making using shortcodes a lot easier. The TinyMCE button added the toolbar allows you to quickly and easily use the event shortcodes. this gives you an easy to use interface to customise and insert your shortcodes. 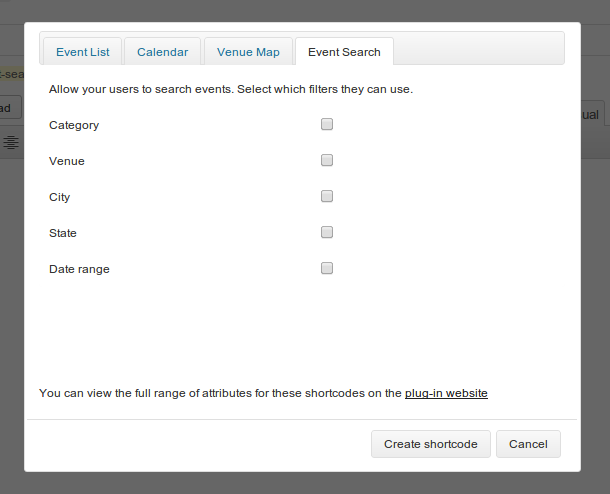 The event search shortcode [event_search] adds a search form to your page which allows your visitors to search, and optionally filter, your events. The event search shortcode only has one attribute: filters. This is accepts comma separated list of the filters you want to be available to your visitors. The order in which you specify the filters is the order in which they appear. date – two fields with datepickers to filter events by a date range. 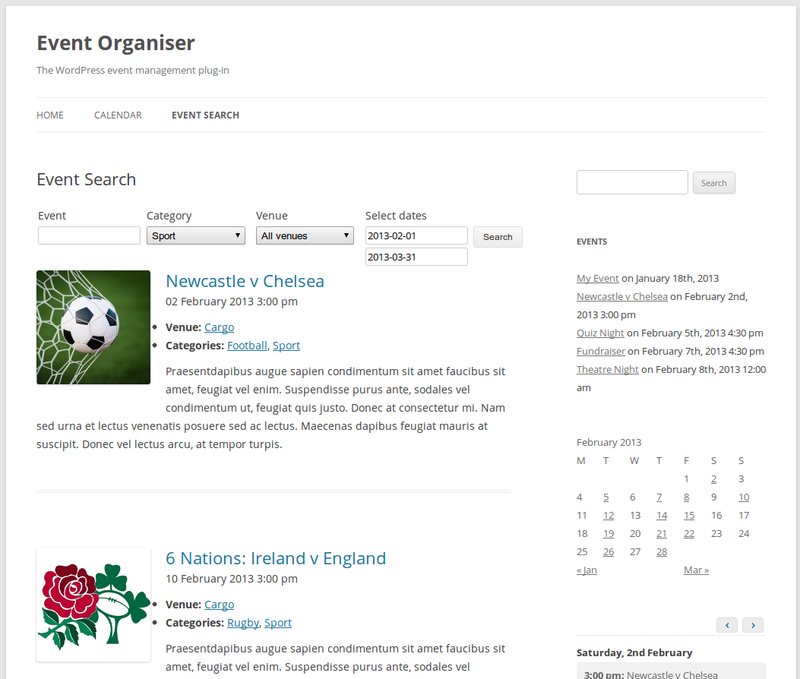 You can change how the search results appear on the page by copying the template file search-event-list.php from inside the templates subdirectory of Event Organiser Pro and editing there as desired. See editing the templates for more information.